Handing you the keys to dominate your market. INDUSTRY-LEADING PEOPLE, TECHNOLOGY, AND EXPERTISE. There are so many choices in F&I, but only IAS offers dealerships one source for a compelling and complete F&I solution. IAS has been the leading provider of F&I solutions since 1984 with hundreds of certified agents throughout the United States providing proven, practical F&I solutions for many of the Top-100 dealer groups. We can't change the world. But we can change your F&I department. We recognize the positive impact that F&I can have on your dealership financial statement. That's why IAS provides continuous on-site dealership support, including employee hiring and training. Our team of experts will work side by side with your team to build your business, solve problems quickly and effectively, and encourage top performance. Over thirty years of experience in value added custom aftermarket. IAS offers a complete line of market driven programs that can be customized, mixed and even bundled for your customers to purchase – and offers both six and seven year coverage terms for most programs. Plus, the IAS product line is fully insured by an "A" rated insurance company. The Road is an Adventure. Enjoy the Ride with Millennium. Provide your customers the most advanced automotive protection plans available with Millennium. Our dealer programs and exclusive protection plans are nationally recognized for their excellence and comprehensiveness. The Millennium VSC Suite offers programs designed to exceed the standards set in every segment including factory programs, mainstream independents and even high mileage or other specialty programs. SmartDealerProducts. Technology solutions for more efficient, profitable and portable F&I since 2001. The SmartDealerProducts software suite consists of the SmartPad tablet-based interview and survey software, SmartMenu professional menu selling software featuring DMS integration and multi-lingual functionality, SmartEye digital recording software designed for legality and quality assurance and SmartP.R.U. an advanced data-driven F&I reporting tool. Everyone has training. 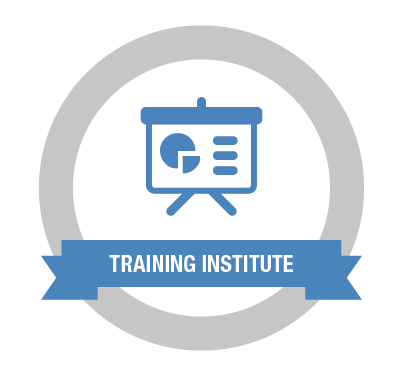 The IAS Training Institute is a Revolution. High potential, low potential and everywhere in between will find their way to perform at the highest levels when they leave the IAS Training Institute. Uncover their best leadership style by providing them the tools they need to reach unparalleled levels of success. Turn-key Reinsurance. Maximize profits while minimizing risk. The IAS complete custom aftermarket product line is eligible for participation in the comprehensive reinsurance solutions crafted by IAS. 100% of underwriting profits and 100% of investment income. Creates an asset that you own. Not a retro or self insured. Create a new company or reinsure IAS programs into an existing company. "We've been using SmartEye for more than a decade. It has not only saved us money by preventing legal hassles but has also helped us make money by increased CSI scores. When customers know they are being recorded, they put their guard down about the finance process which makes them more open to hearing the features and benefits of our aftermarket programs. We are also big fans of SmartEye for training personnel. Overall, we think it's a great addition to any F&I department and one that gets our highest recommendation." Just finishing first full week of car dealing, and I wanted to stop for a moment and thank you for the great training. It is pretty crazy out here, but it has also been fun. I have been successful beyond my goals already. If I can keep a good pace, and keep learning, should be a pretty sweet opportunity. The approach you take to training is absolutely awesome. You are an excellent teacher, I feel as though I have been given a great tool-box for this job. I find myself applying the principles and the process throughout the day. I hope I will have more opportunities to work with you in the future. New cars went from around 1500 per copy to 1750 per copy just by integrating these new techniques and ways of thinking into my interview and pitches. Used was the big change. We went from around 1250 per copy to 1925 per copy year to date.